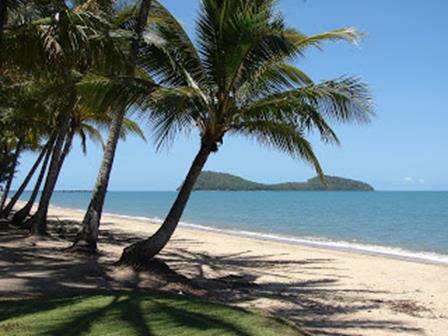 Although it wasn’t an organised tour, I had a great day with a couple of friends going up to the pretty sands of Trinity Beach and Palm Cove. I decided that if I ever became rich, I was coming back to this place on a luxurious holiday! After strolling the beach and swimming we headed inland to the township of Kuranda. Set amid pristine rainforest, is a popular tourist destination for the markets and various sanctuaries for butterflies, birds and even snakes. While others shopped, I did the Jungle Walk trail to the Barron Waterfall. 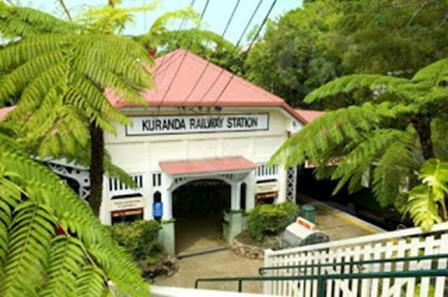 For many, the attraction of Kuranda is in the journey as much as the destination. While we took the road up the hill, there is also a scenic railway that winds 34km from Cairns up through picturesque mountains and 15 tunnels. This line took five years to build which isn’t bad considering it was opened in 1891! Another popular and certainly the most spectacular way of enjoying the Kuranda rainforest is on the 7.5km gondola cableway. As I mentioned, Cairns where I ticked ‘scuba diving’ and ‘Great Barrier Reef’ off my bucket list. After working on the dive boat for several weeks it was now time to get my diving medical and begin my first course. A mere formality I thought to myself as I idly ticked yes and no boxes on the doctor’s form. I was fit and healthy but as I sat in the doctor’s office I could sense a problem emerging. “Tell me about your hearing loss” the doctor asked me. “Pardon me?” I replied but it seemed that this wasn’t the moment for joking. I am virtually deaf in one ear and the doctor didn’t like this at all. “I’m sorry” he informed me “but we can’t issue you a dive medical with only one good ear. “It’s too risky. I’m sorry”. He is sorry? What about me! I was totally devastated and as I returned to the hostel I was nearly in tears. This was a dream being crushed by the red pen of a doctor. Besides, it was my only way of being paid for all my work. And so it was. 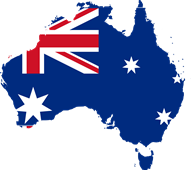 With a little tick in the wrong place on the ‘Hearing Loss’ question, I soon had my precious medical certificate and was making a booking to begin my PADI Open Water course. Initially there was some theory work to do and which involved becoming familiar with all the equipment. There was also a lot of safety information to learn before the baby steps of getting submerged in the swimming pool. 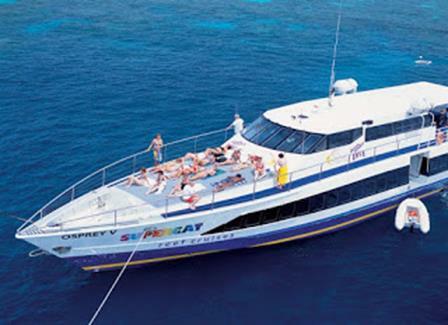 Finally, the big day arrived: it was time to begin scuba diving on the reef.